With the increased activity in marine geochemical research resulting from studies of dissolved constituents and particulate matter in seawater, diagenetic reactions in underlying sediments, submarine volcanism at spreading centers, and interactions of seawater with igneous rocks, it is timely to review the properties of some of the major mineral constituents found on the seafloor or extracted from seawater. Chapters in this volume, therefore, are devoted to marine manganese oxide, iron oxide, silica polymorphs, zeolite, clay, phosphorite, barite, evaporite, and placer minerals. Carbonates are not included; coverage of this important mineral group warrants a separate monograph. The extremely interesting sulfide and hydrothermal mineral assemblages recently discovered at oceanic spreading centers are also not discussed here. 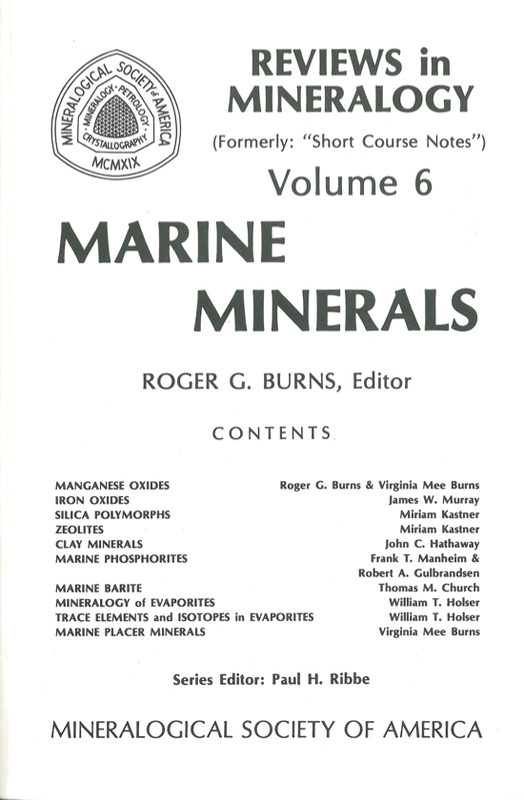 Marine Minerals was first published in 1979 as Volume 6 of the series entitled Short course. 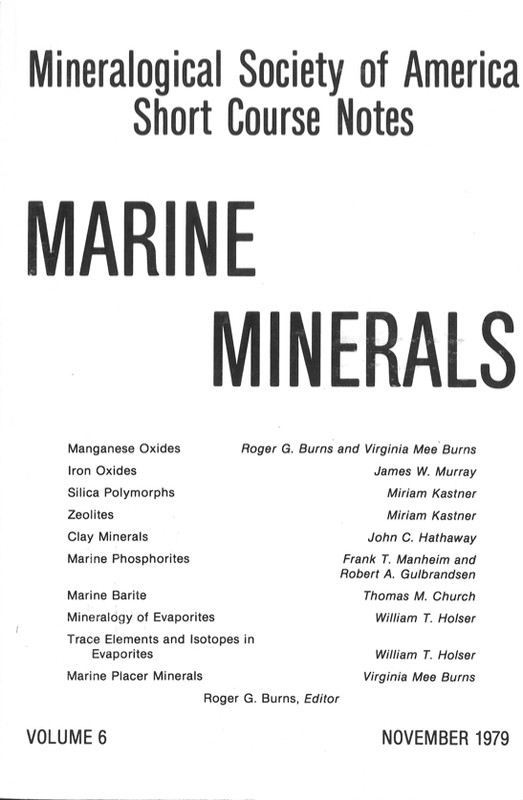 In 1980 the Mineralogical Society of America changed the name of the series to Reviews in Mineralogy, and for that reason this, the second printing of Marine Minerals has been reissued under the new banner. Only minor corrections have been made.